Master Data Management (MDM) pertains to effective management of shared master data assets, used by technologies, processes and systems, across the organization. A master data management solution helps in creating a coherent ecosystem for business and IT to work in sync with each other. An enterprise master data management solution ensures consistency, correctness, capability required for all enterprise operations significant to suppliers, customers, partners, prospects, and employees. Master data management can standardize your organization data, get rid of duplicity, inconsistency, and errors to continuously improve the data on which your organization’s success depends. The most important feature of MDM is to ensure a single version of truth about the data throughout the organization. MDM greatly helps in data governance and timeliness needed to promote better compliance and efficiency. 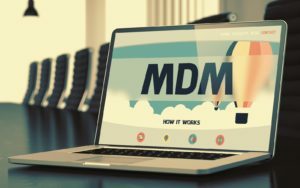 Why Do Enterprises Need MDM? 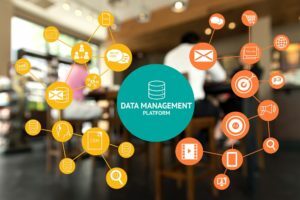 With an MDM platform in place, enterprises can strengthen their information quality by bringing together a variety of data items. 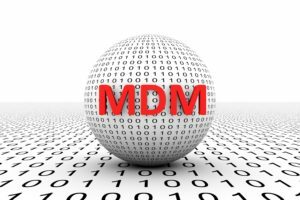 An MDM strategy’s sole objective is to eliminate various threats to information such as overlaps, discrepancies, lack of relevant or updated data exchanges happening among various departments with or within the organization. More often than not, there’s hardly any concord within organizations about storing data items. Problems that data discrepancy can inflict on organizations may not only take a long time to detect, but to fix as well. An MDM solution streamlines data management on an enterprise-wide level. Master data management solution can ensure great benefits such as superior data governance, optimal resource usage, cutting additional expenses to run checks, which in turn reduces your time to market. Apart from this MDM’s is of immense significance to your employees, as it relievs them off unnecessary operational pressures and information management duties. Master data management is all about doing everything necessary for supporting your business infrastructure with well-governed, ably-kept, unified, clutter free master data. The data pertaining to your service and products, the vendors whose services you take, the customers who buy from you; the data that’s the very foundation of your commercial and business associations. To drive efficiency and consistency, organizations need to take charge of the internal processes and systems existing within. A master data management solution makes sure your data is telling a single version of truth universally and continuously. MDM helps you to manage risks, deal with threats, improve company processes, ensure timely recall of products, manage privacy, cut labor costs, optimize processes, attend compliance issues and execute customer care programs. MDM helps in transcending internal borders and act as an enabler, which eventually decreases your time to market, improves operational efficiency, and boosts profitability. It focuses on standardizing and controlling the information and information processes so that no departments functions in isolation. Selling and servicing to your customers is central to your strategy and an effective master data management solution can give you an accurate, consistent and comprehensive view of your customers and your interaction with them. For customers, it ensures a universal view of the information relevant to them, accessible from anywhere. To achieve this, MDM improves your customer communication— including purchases, exchanges, returns— suffering from poorly managed master information, often relying on manual processes, native apps or spreadsheets present on stand-alone systems. Apart from high quality customer interaction, it entails efficient integration with external sources of data, mostly comprising of business partners where sales are indirect. A customer centric MDM platform not only reduces enterprise marketing costs, but also strengthens enterprise-customer relationship. MDM supports your enterprise by going way beyond streamlining your core functions, through optimizing your supply chain. 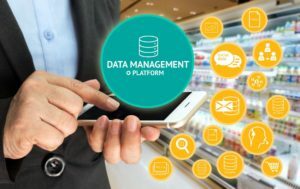 A master data management platform can help tackle the challenges of mapping internal product catalogs to external ones, thereby giving you a combined perspective of the products being purchased. A master data management solution ensures that just one version of products supplied to enterprises exists. It helps you maintain clarity about which of your suppliers belong to bigger organization, so you may assign them large orders. Right from on-boarding of a supplier to creating internal catalogs (for preventing duplications) to keeping strict checks on inventory, an MDM platform can facilitate long term cost reduction. It gives enterprises an organized, extensive view of the supplier landscape while structuring and simplifying internal processes. Happiest Minds has helped a variety of enterprises to reach their objectives by delivering suitable master data management solutions. We have successfully tackled issues pertaining to data complexity, governance, overlap, standardization, and consolidation. One of our clients was a leading in-flight broadband internet and other connectivity services provider. They were dealing with a variety of issues like: inconsistent product descriptions and formatting, over-dependency on vendor(s), and poor customer experience due to too much time-consumption in publishing information on multiple channels. Happiest Minds implemented a flexible master data management solution by creating consistent structured and unstructured product specific attributes, user friendly workflows, ensuring better efficiency, speed, and analytics reporting. This in turn enabled them to dynamically publish price changes depending on flight positions. On the whole, the MDM solution greatly helped the client in reducing their time-to-market, improving customer experience, boosting control and flexibility.